The Sandbox – Games for Android 2018 – Free download. 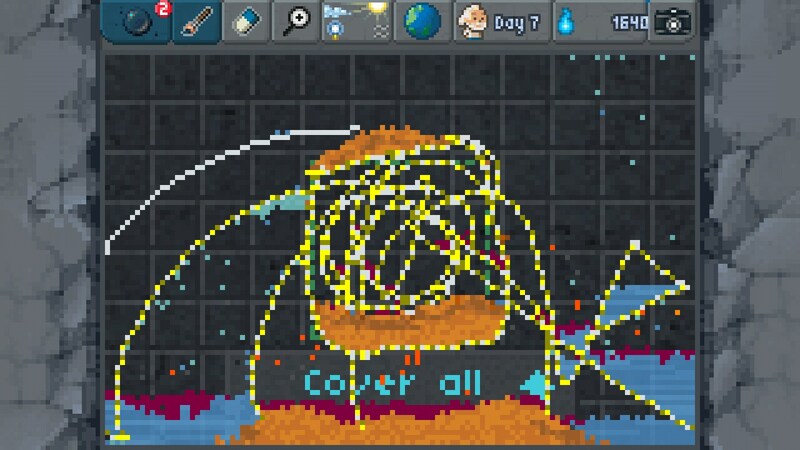 The Sandbox – Pixel god simulator. 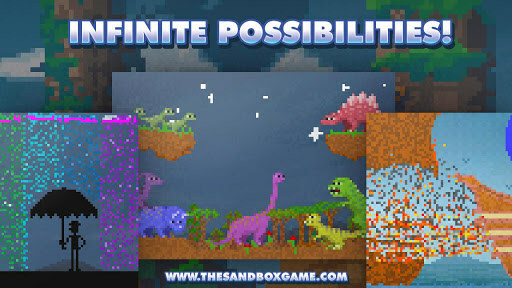 The Sandbox - is a fun arcade puzzle game for Android, in which we create from scratch the ground, using the basic elements and gradually creating new ones. In our hands the whole world, and when we decide what to do with it, destroy or restore order. The game is made entirely in the pixel style, we come in the form of a bearded old man who calls himself God. Despite the fact that all the graphics are composed of pixels, the game looks very colorful and unusual. 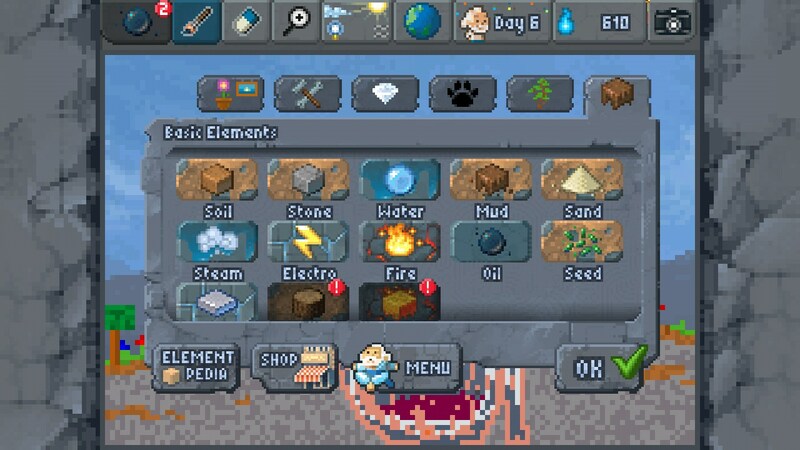 The Sandbox game is more reminiscent of editing here, we also have a pencil, eraser and a set of different elements. The game begins with these primitive elements, such as land and water, then we create the sand, stone, and at some point, turn to organic life. If you fill the earth, and water it with water and wait a bit, then it naturally grow flowers and plants. 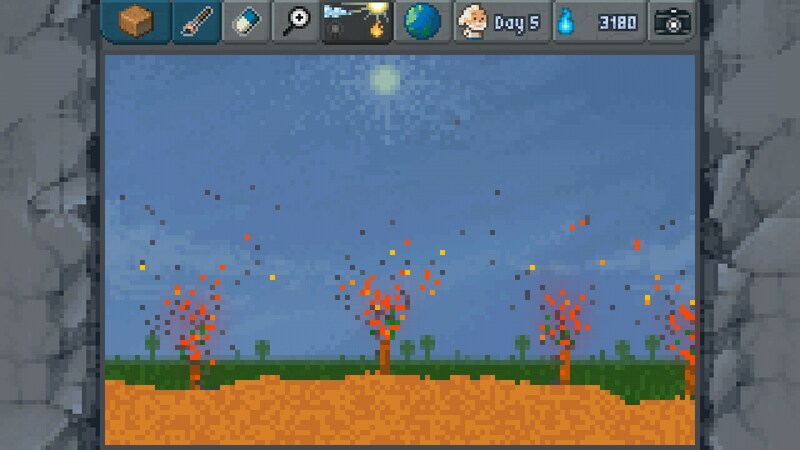 Also we can scatter the seeds that will be beautiful trees. Another important parameter of the game - is the weather, and we can fully manage it, the time of day, temperature and position of the sun. 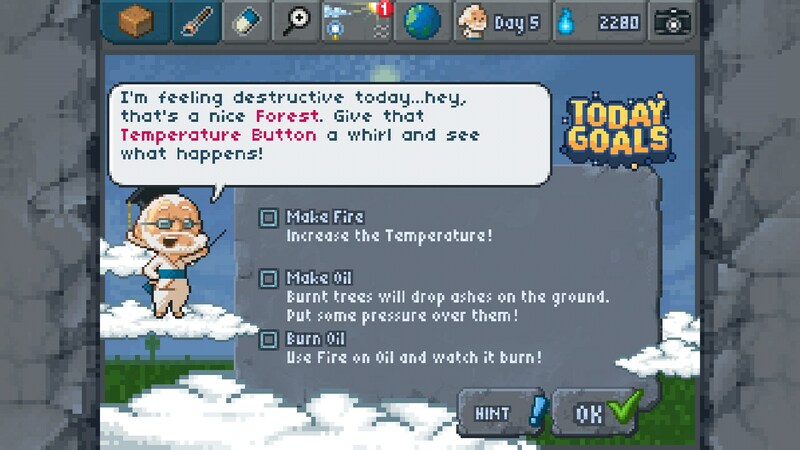 For example, if you make too hot climate, the trees will burn, and only the white sand. The plot of the game is divided into levels, where we have to learn to derive new elements. As soon as we have finished, the new item will appear in our database, so only we can not use it until the ransom. To purchase items using the energy that we are given for completed quests. To buy all the items it is not enough. And here it is necessary to find a compromise, as some items can be easily produced by mixing the other, and they can not buy. The ability to not only create, but also destroy. The disadvantages of the game include mandatory cash investments after the passage of about 30% of a single campaign. Also disappoint many graphics and not the most comfortable control, which is more suitable for stylus, not your fingers. Summary. 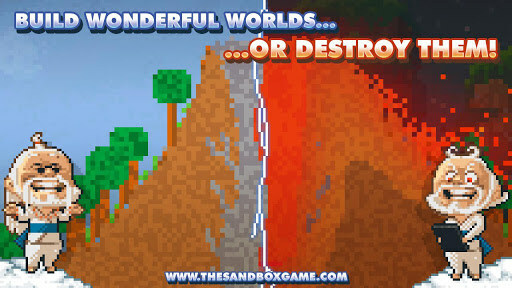 The Sandbox - an original and very interesting game for Android, which lovers of puzzles and various alchemical simulation-designers. See Also a short video review to see what interesting things can be created from simple items. Gotta catch'em... er, make'em all! Oy Vey! I'm not sure what to make of this one!